Danielle is a geologist with over 14 years of consulting experience including project management, plan and reporting writing. Areas of expertise include hydrogeological and geological investigations and remedial action. Responsible for quarterly sampling of groundwater monitoring wells and the collection of air samples from the In-Situ Air Sparging/Soil Vapor Extraction (IAS/SVE) system at a former gasoline station; semi-annual groundwater sampling at six sites; and semi-annual sediment sampling at two other sites on the Base. 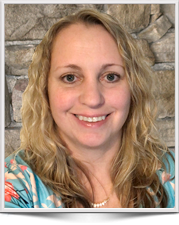 Danielle served as Project Manager, coordinating and overseeing all field efforts with additional personnel and subcontractors, as well as all report writing. Supervised drilling activities at several sites on-Base to abandon and replace monitoring wells. Interfaced with the applicable regulatory agency (Louisiana Department of Environmental Quality [LDEQ] and the Air Force Center for Environmental Excellence [AFCEE]). Negotiated No Further Action (NFA) status for two of the sites. Updated the Base-wide RCRA permit application. Developed Remedial Action Plans for the remaining six sites. Produced site-specific Field Sampling Plan (FSP), and semi-annual and annual groundwater monitoring reports for submittal to LDEQ/AFCEE. As hydrogeologist, Danielle provided hydrogeological support for several sites including regulatory interpretation, support to field investigations for the determination of groundwater flow, and contaminant fate/transport studies. She was responsible for oversight of geologists and scientists and technical editing in developing a Project Management Plan, Field Sampling Plans, Work Plans, Decision Documents, and other technical reports. Work has also included coordination of technical support to multiple landfills and wetland sites. Groundwater Monitoring at Garage Sites in Miami, FL, Tallahassee, FL, and San Francisco, CA, Greyhound Lines, Inc. Responsible for semi-annual and quarterly sampling of monitoring wells at three garage sites. Danielle managed projects and wrote all reports following field activities. Met with the client and regulatory agencies (Miami-Dade Department of Environmental Resources [DERM], and FDEP, and the San Francisco Department of Health) to discuss future monitoring at the sites. Performed all necessary financial duties, including preparing proposals and estimates for future work. Performed hydrogeological interpretation of flow data and groundwater modeling to determine if contaminant plume was being captured by the previously installed pump-and-treat system. Produced potentiometric surface maps and contaminant plume maps for submittal to EPA. Sheheen, D.K. and B.K. Meyer. 2003. “Environmental Benefits, Energy Savings, and Pollution Prevention at a Landfill Cap Construction Project for Reuse as a Wildlife Management Area at the Barksdale Air Force Base, Bossier City, Louisiana.” EPA RevTech Land Revitalization and Reuse Conference. Rose, S., M.S. Crean, D.K. Sheheen, and A.M. Ghazi. 2001. “Comparative Zinc Dynamics in Atlanta Metropolitan Region Stream and Street Runoff.” Environmental Geology.